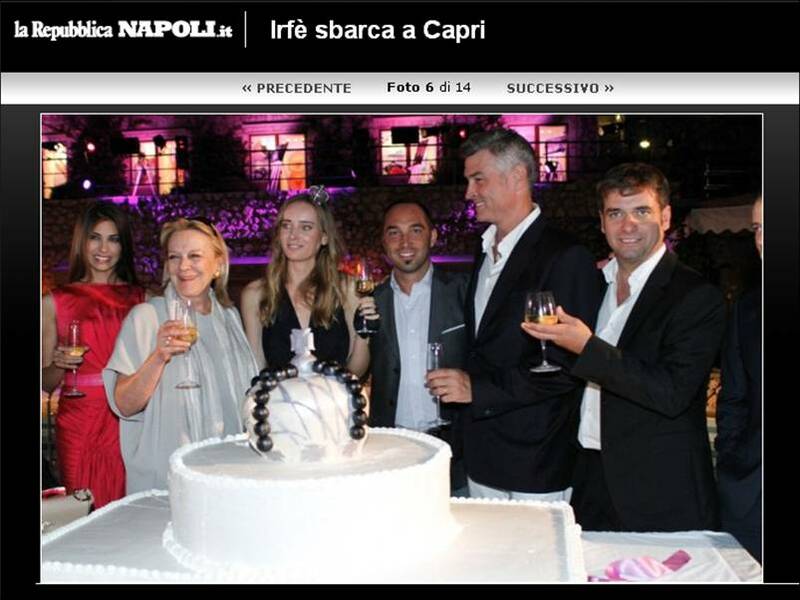 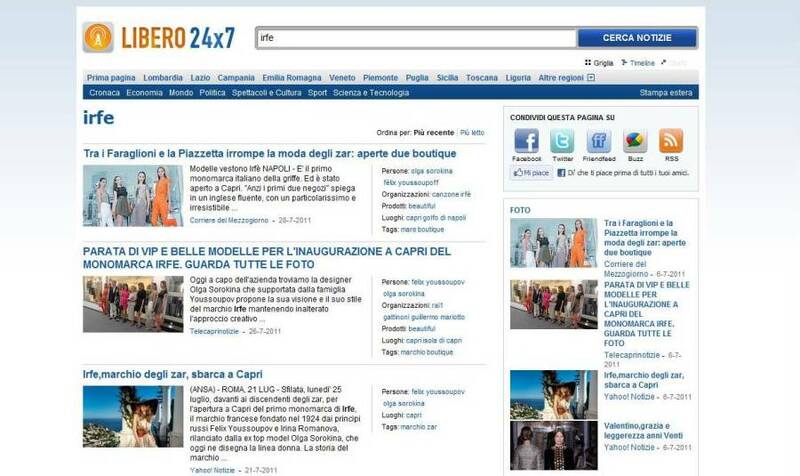 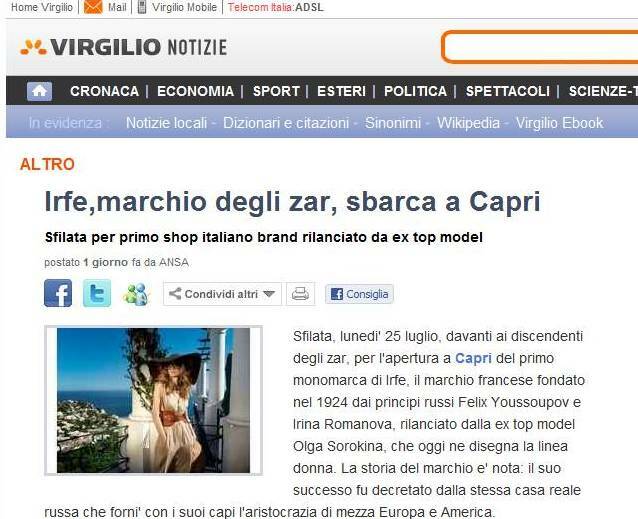 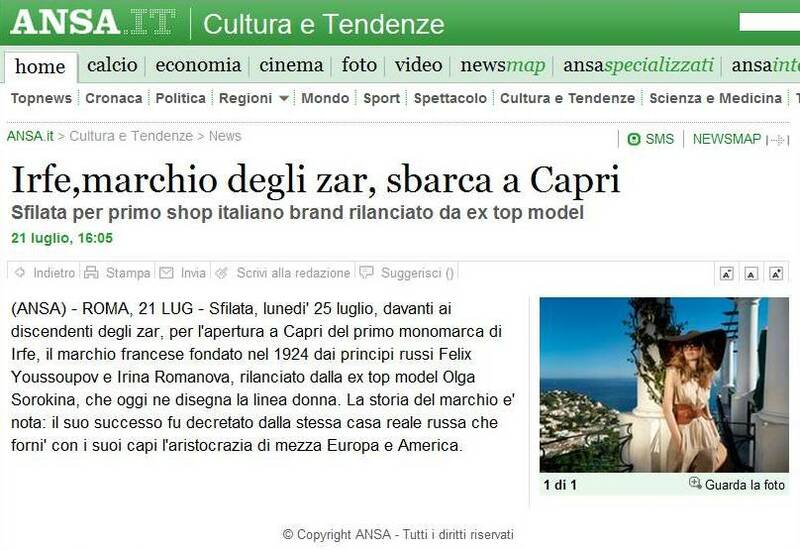 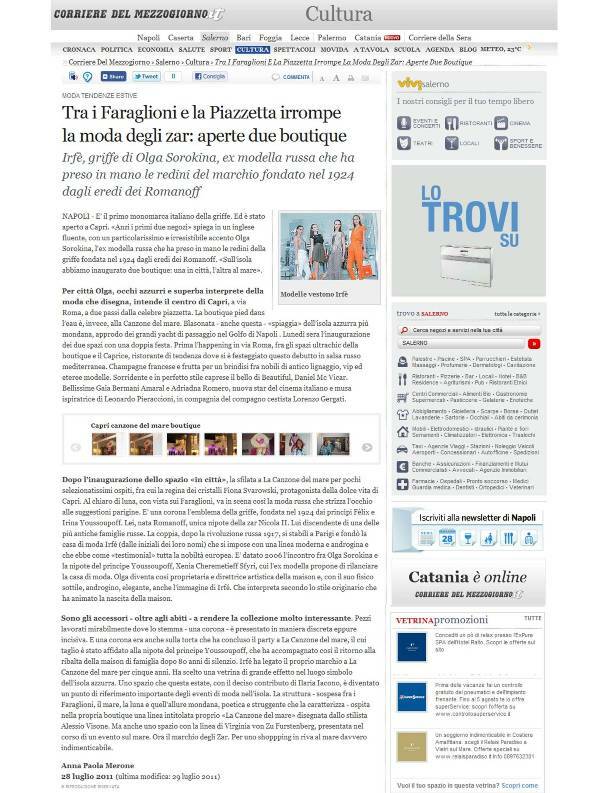 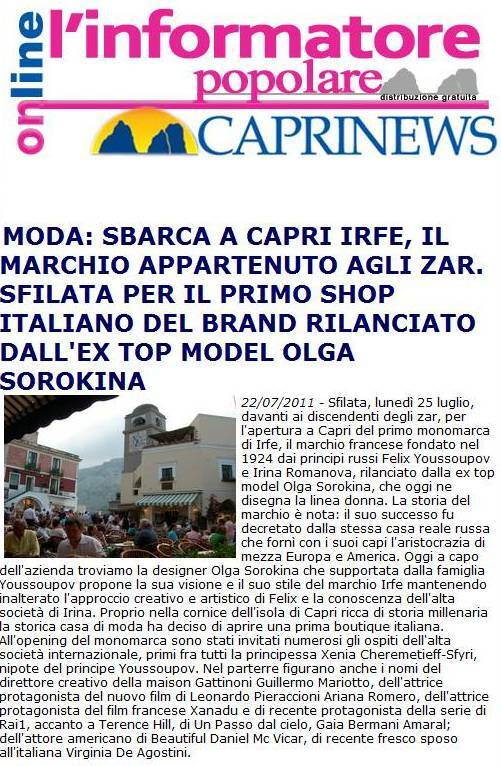 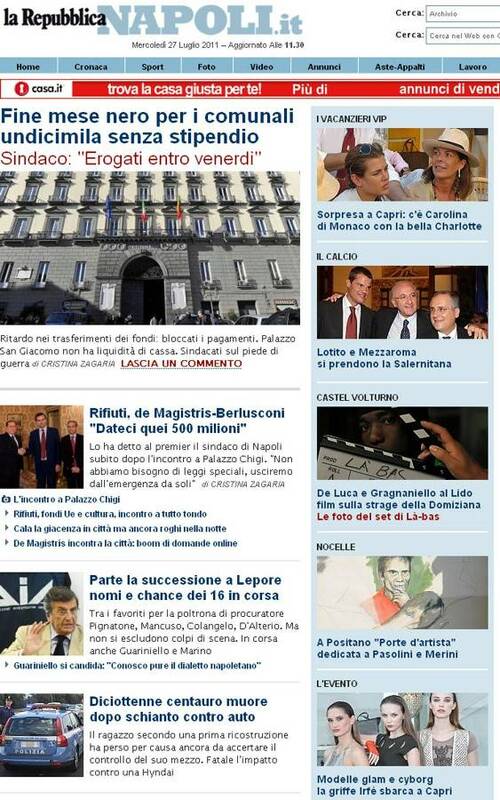 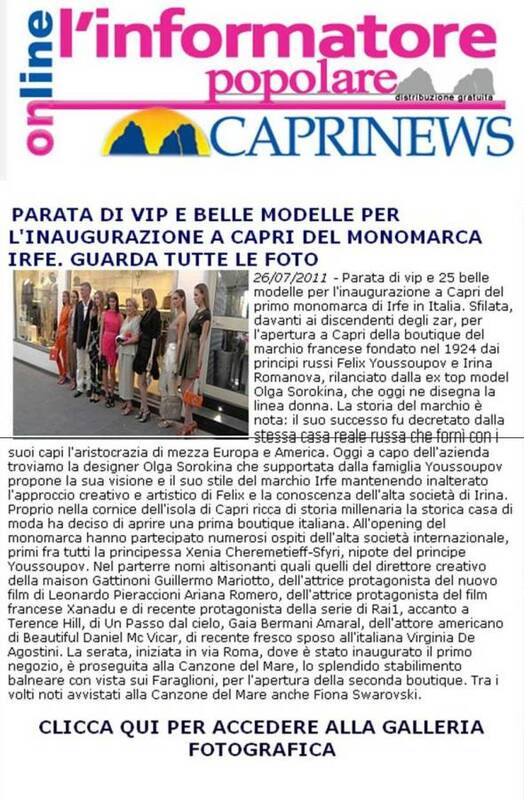 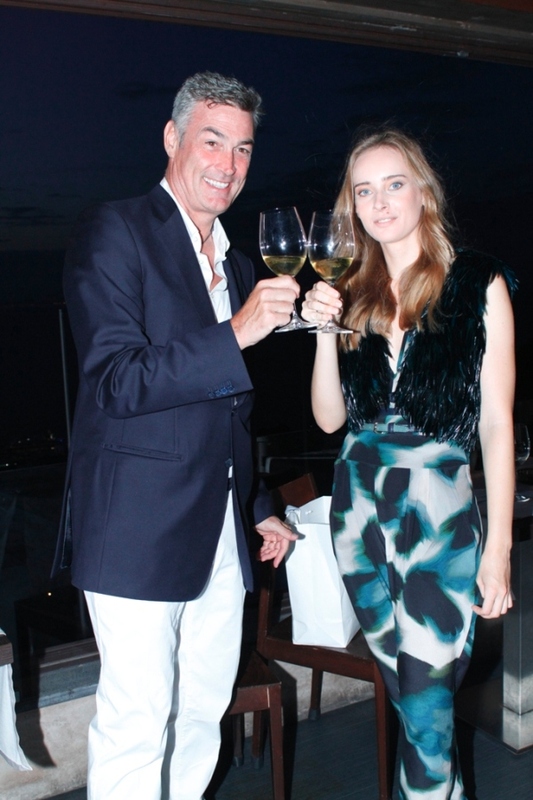 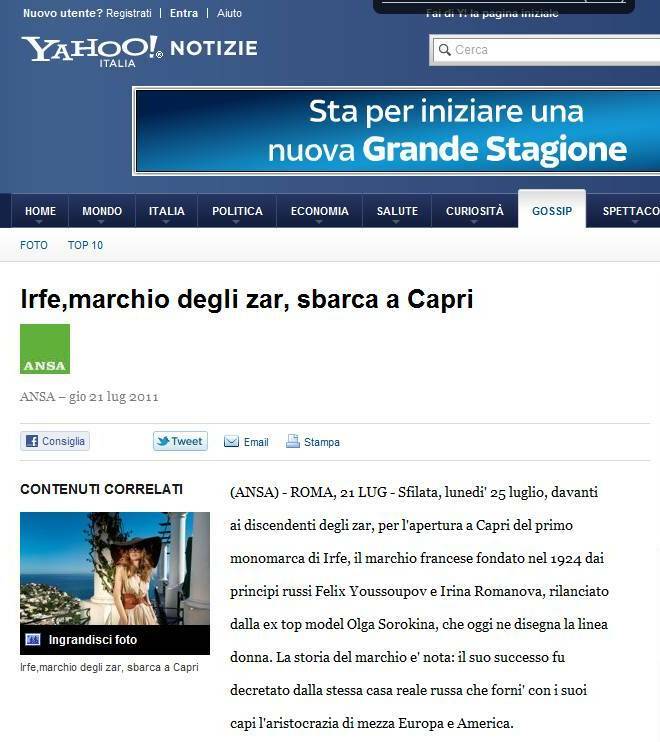 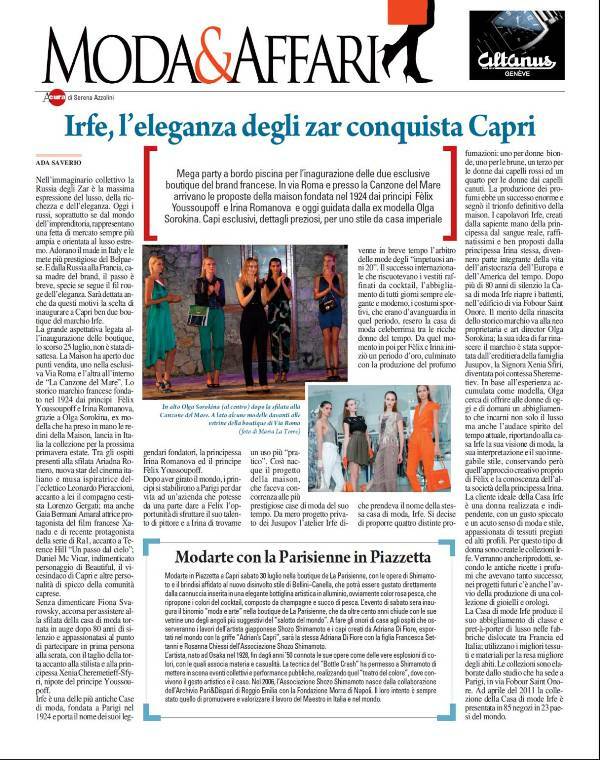 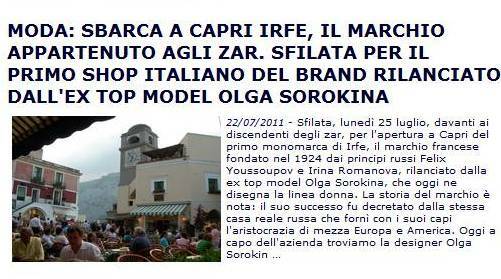 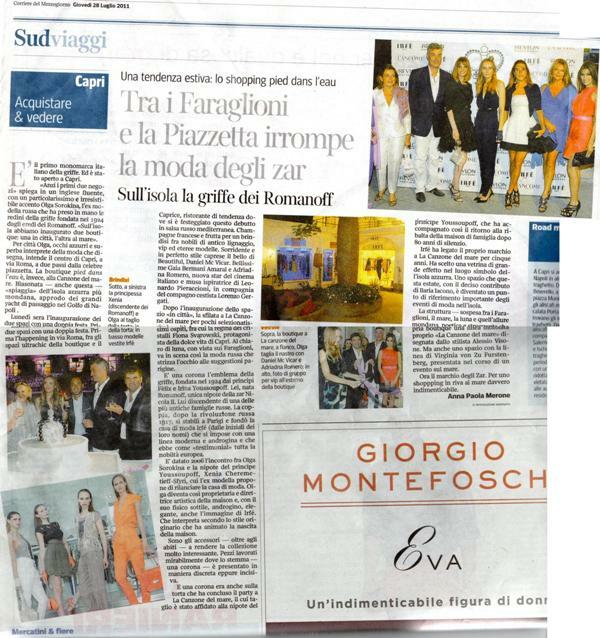 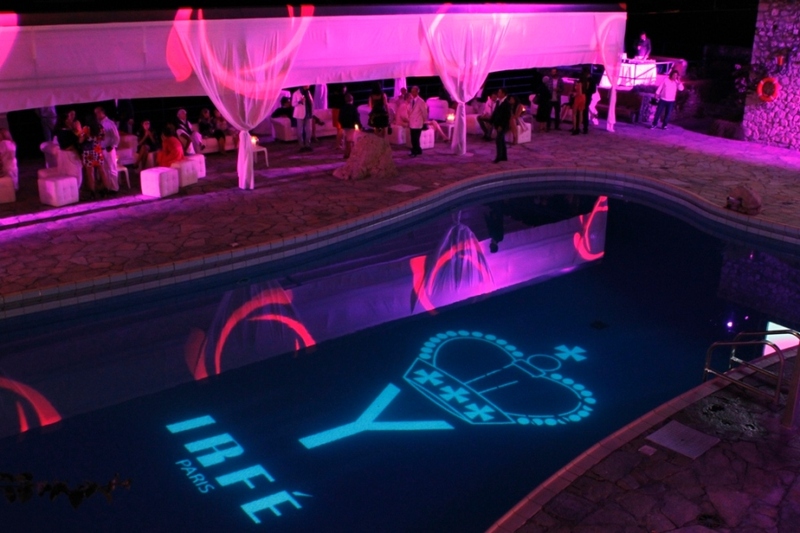 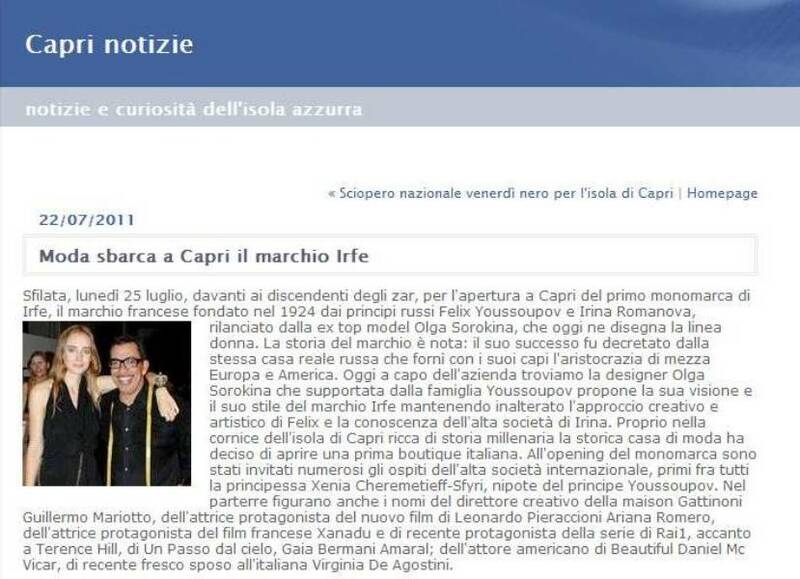 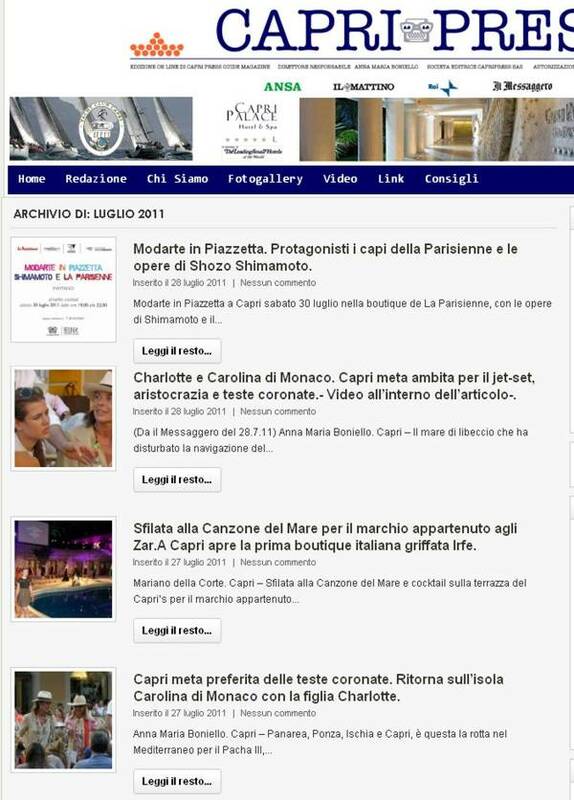 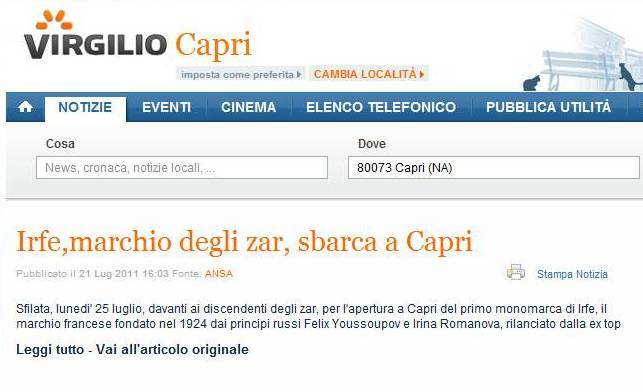 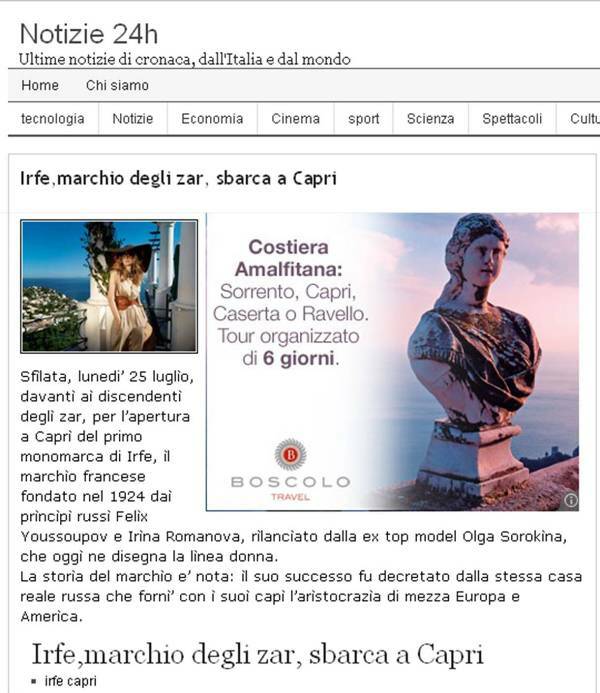 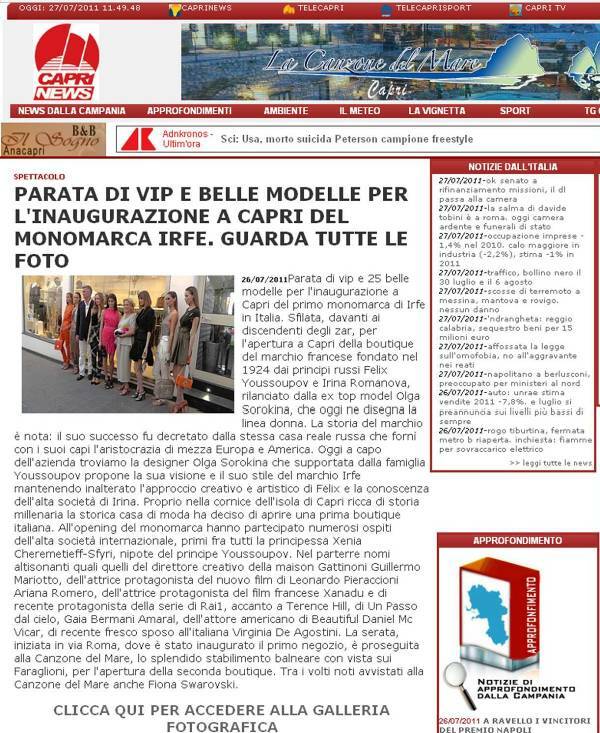 In the evening of July 25th 2011 IRFE Maison inaugurated its new boutiques in Capri. 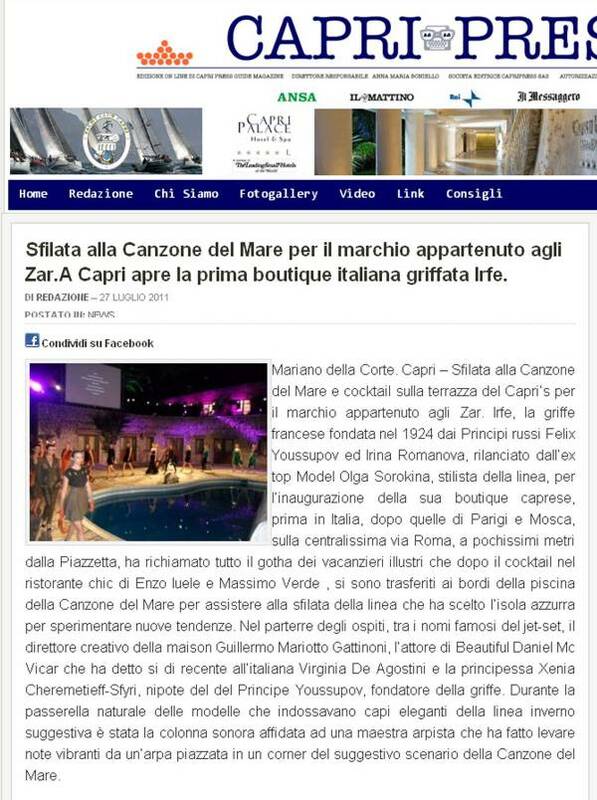 Two stores were opened, one in Via Roma, the other one inside the shop"La Canzone del Mare", launching IRFE and its brand-new spring/summer collection in Italy. 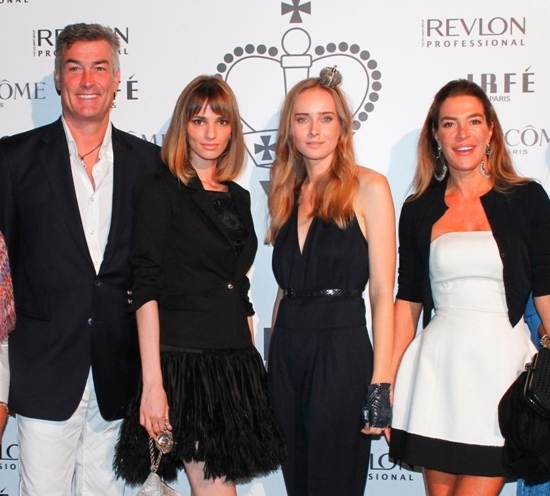 The brand, founded in 1924 by prince Feliks Jusupov and princess Irina Romanova, was revamped by Olga Sorokina who took the head of the maison. 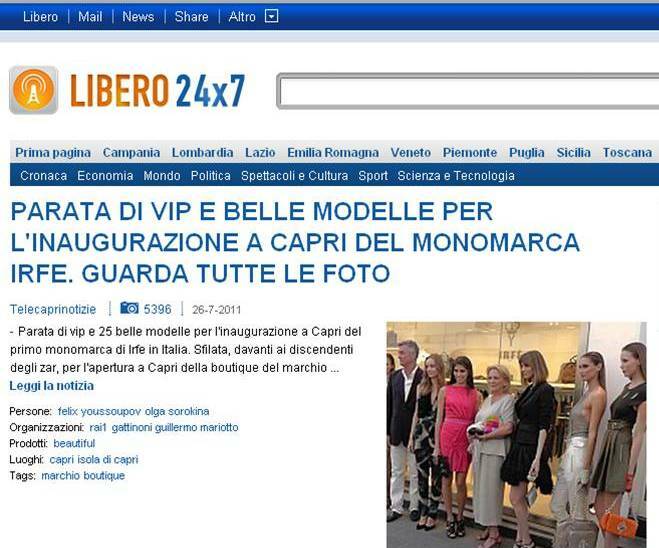 Among the guests at the grand opening were Ariadna Romero (new Italian movie star and muse of the eclectic Leonardo Pieraccioni) with Lorenzo Gergati, Gaia Bermani Amaral (main actress of french film Xanadu, and charachter in Rai 1 TV series "Un passo dal cielo" with Terence Hill); Daniel Mc Vicar (unforgettable in "The Bald And The Beautiful"), Capri's deputy-mayor ND other personalities. 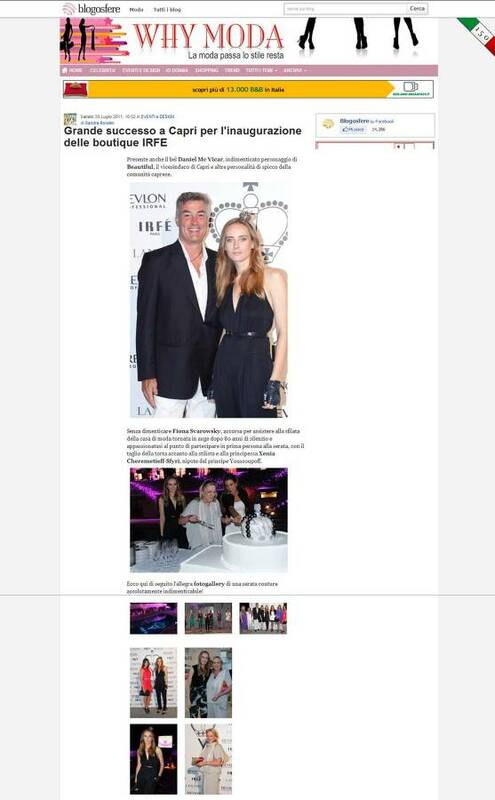 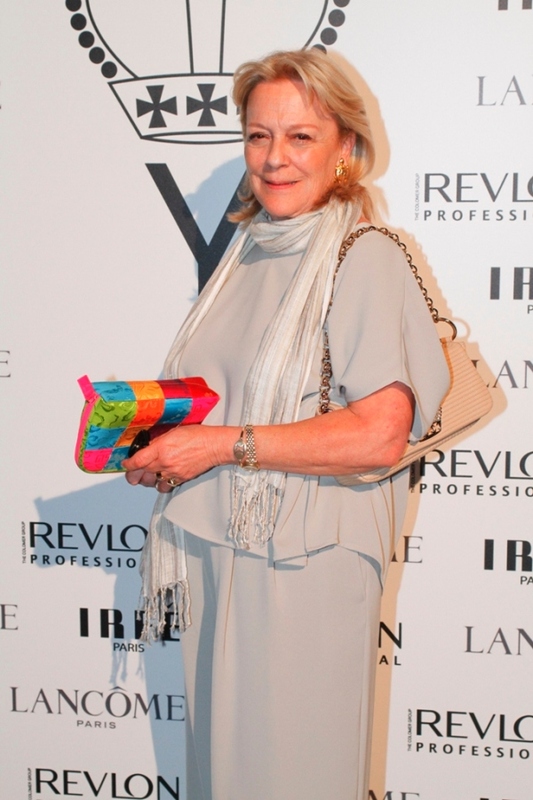 Fiona Svarowsky, who came just for IRFE, and loves the brand, partecipated at the event. 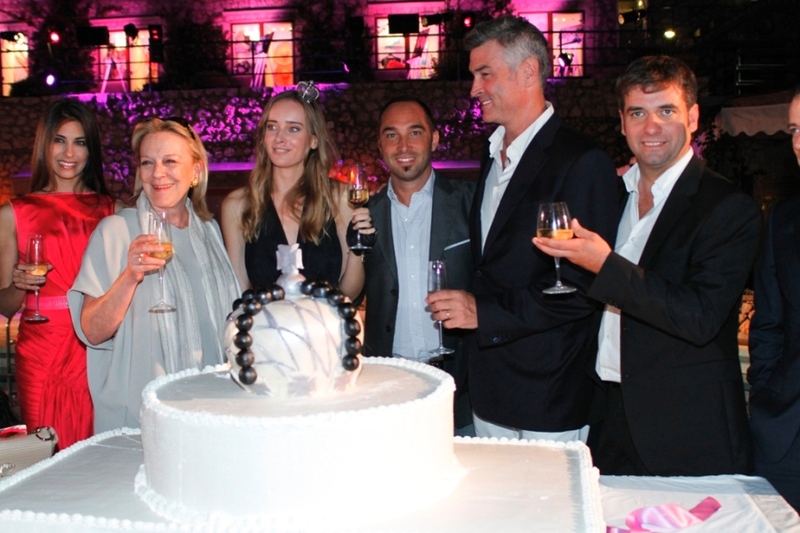 She loves IRFE and cut the cake alongside Olga Sorokina and princess Xenia Cheremetieff-Sfyri, prince Jusupov's niece.